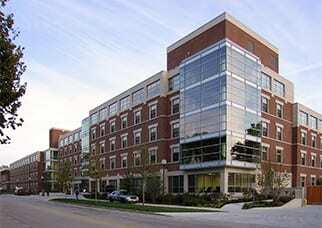 Nugent Residence Hall is the flagship building in a multi-year, multi-phase master plan for new residences at UIUC. 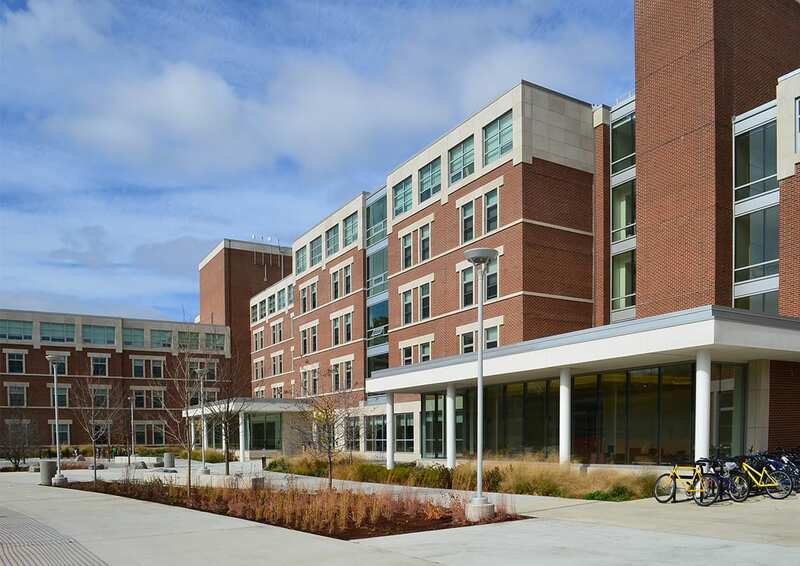 The building responds to contemporary student living preferences, and is outfitted with double rooms, semi-private bathrooms, and individually-controlled air circulation. The program, which includes study rooms, a computer lab, lounges, and a 24-hour front desk, encourages social interaction while allowing privacy when students need it. 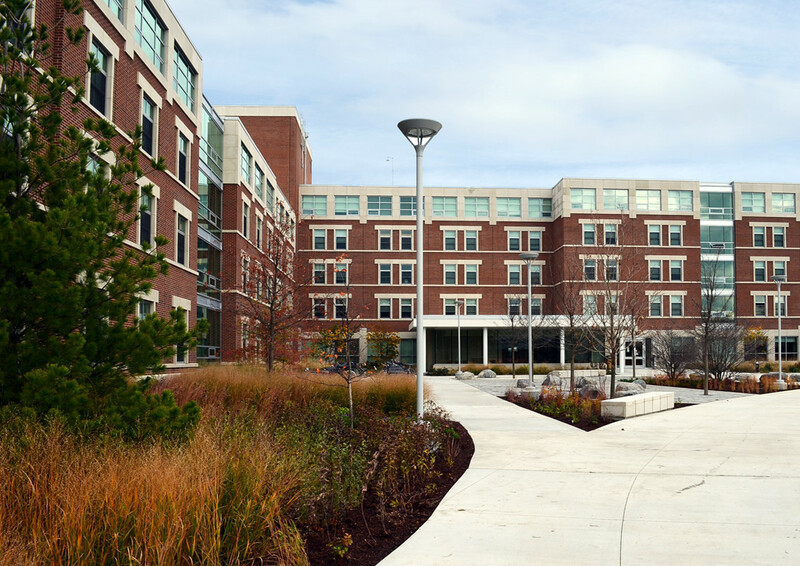 Beckwith Hall, a nationally-renowned facility that provides accessible residences for 26 students with severe physical disabilities and their personal assistants, is seamlessly integrated into the new design. It includes 21 rooms outfitted with equipment specifically for quadriplegic students. 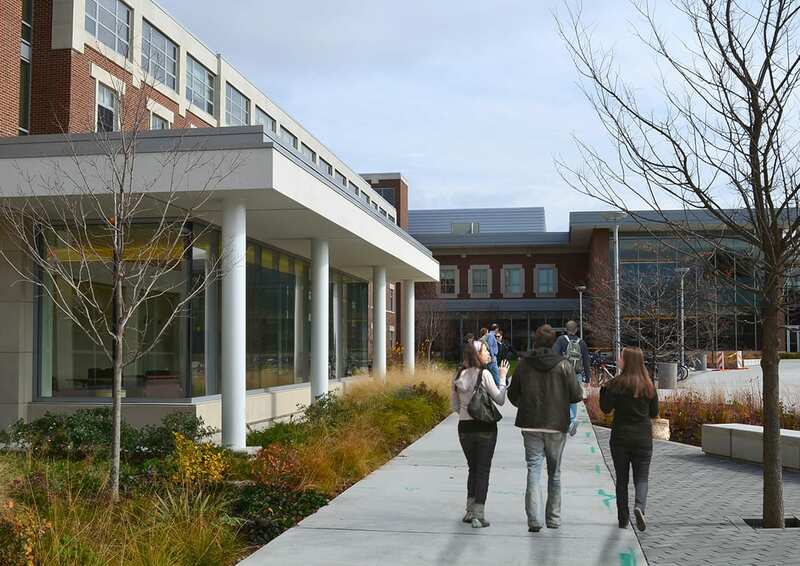 This facility goes beyond typical “universal design” strategies, with flexibilities that adapt to each student’s living and learning needs. 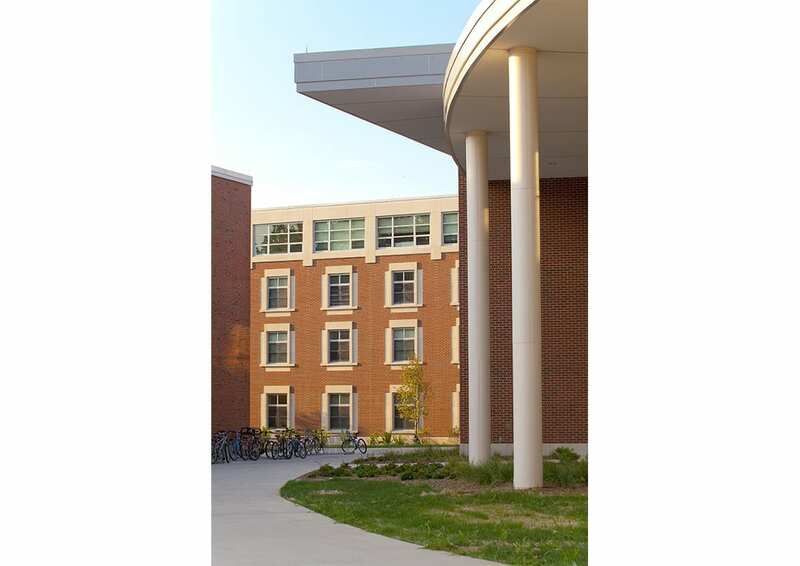 Nugent has direct access to Ikenberry Commons, which houses a library, exercise room, music practice rooms, and a dining facility with multiple late-night options.